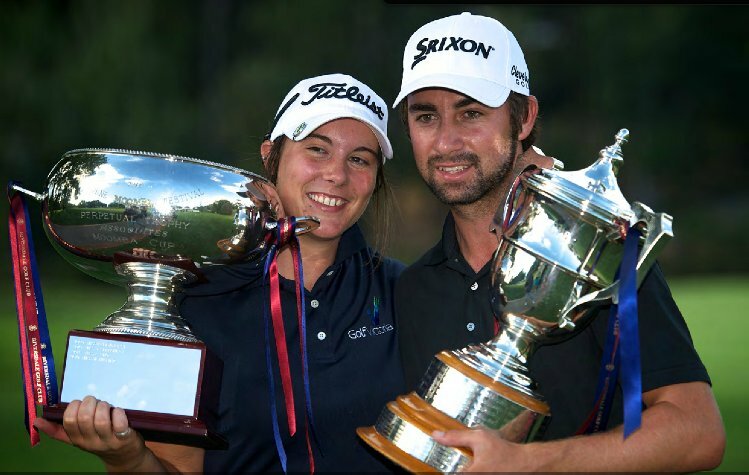 Three Riversdale Cup winners to play in US Open! Brady Watt, winner of the 2013 Riversdale Cup has qualified for the 2014 US Open at Pinehurst No.2, from 12th to 15th June, bringing the number of Riversdale Cup winners competing to three. Brady will be joined by 1990 and 1991 winner Robert Allenby and 1999 winner Aaron Badderley, a fantastic achievement so early into his professional career and just over a year since he held up the Riversdale Cup. With Australia’s own World Number One, Adam Scott, Match Play Champion Jason Day and 2006 Us Open Champion Geoff Ogilvy leading Australia’s charge, there will be plenty of other challengers withJohn Senden, Matt Jones, Rod Pampling, Aaron Price and Oliver Goss to help Brady feel at home. Good luck to our Riversdale Cup winners and all the Aussies at Pinehurst No. 2. Queensland pair Ashley Ona and Jaimee Dougan successfully defended their Australian Women’s Foursomes title, winning by one stroke with rounds of 78-81 (159) to beat NSW pair Cathleen Santoso and Lauren Hibbert who finished with rounds of 79-81 (160). Ona and Dougan are the first pair to sucessfully defend the title in the history of the women’s championship. Victorians Grace Lennon and Su Hyun Oh finished in third place on 162. Mikaleigh Pickles and Nadine White finished fourth. Queenslanders Aaron Wilkin and Taylor MacDonald won the Australian Men’s Foursomes Championship with a 3-under par total at Riversdale Golf Club today with rounds of 70 and 71 (141) to win by two strokes from NSW pair Ryan Smith and Matthew Wittenberg who finished with rounds of 71-72 (143). Victorian pair Loren Bunting and Will Hume finished in third place on 144. NSW pair Ruben Sondjaja and Jordan Zunic finished in fourth place on 145. Back to Labour Day weekend and is now a combined event! The Riversdale Cup will move back to Labour Day weekend in 2013 and will now be a combined Male and Female format over one week!